This item is suitable for the ones who need to hand carry the photography background boards to use at different places. This item is to add handle feature to HowHowPhoto's shipping box for users who need to hand carry the photography background boards to use at different places. https://c1.staticflickr.com/1/817/40953661321_241fe78f23_b.jpg This item includes: 1. Handle x 1 set (plastic material) 2. 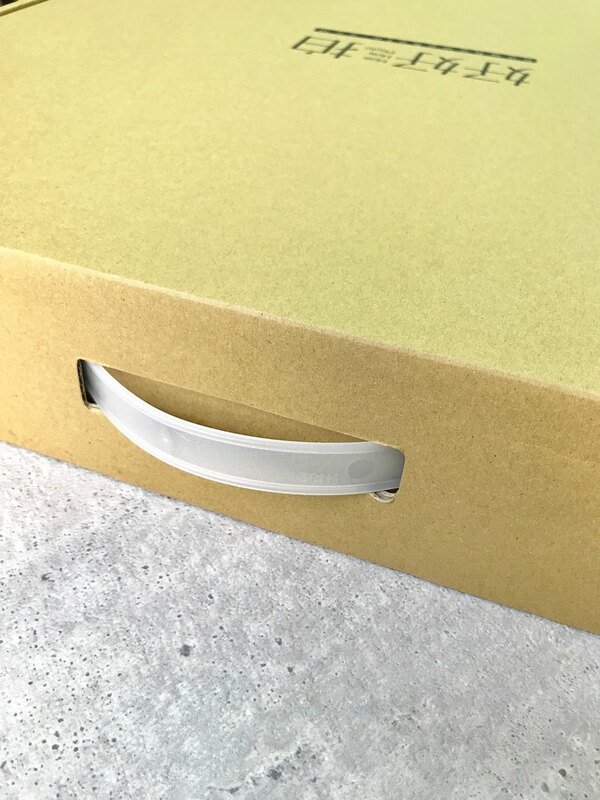 Installation: we will install the handle on the shipping box for you. ＊This item and price is NOT included shipping box. ＊This must be purchased with other HowHowPhoto products. If the order is made with ONLY this item, it will be cancelled directly. https://c1.staticflickr.com/1/783/27082659458_1344a45cc4_b.jpg ｜About Purchasing Quantity｜ 》If you purchase 1~10 boards in one order, please choose "1" as the quantity of this item. 》If you purchase 11~20 boards in one order, please choose "2" as the quantity of this item and so on.